Columbus, OH – The Dominican Sisters of Peace have named a new Justice Promoter, Sr. Barbara Kane, OP. In her new position, Sr. Barb will promote Justice, Peace, and the Integrity of Creation (JCIP) through education, advocacy and social action. One of her first major projects will be working with Sisters and Associates to organize a congregational presence at the March 24 ‘March for Our Lives,’ a student-led demonstration to urge sensible gun control. Sr. Barb will office at the Congregational offices in Columbus, OH. 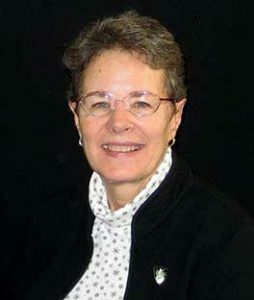 Sr. Barb has served the Congregation as the Director of the Dominican Learning Center, an educational outreach of the Dominican Sisters of Peace, and as principal of Dominican Academy, an all-girls high school in New York City. She has also been a teacher, business owner, telecommunications manager and consultant.